Color rendering definition, does CCT play a role? This is a carried over subject of discussion that began in another thread, to prevent a hijack of that thread. I’m not claiming to be an expert on this in any way, not by a longshot, but I know what I see. If CW is compared to NW (both at the same CRI), what I see is that certain colors (greens, woodgrains) appear more natural under the NW. Is “Color Rendering” a broad term? Do meanings vary? I think the warmer/neutral tint “fools” us into certain colors “appearing” to be more accurate. In other words they look better (more true) but may not be an entirely accurate reproduction. Out of all of the available emitters , I still prefer my Nichia 219B . AND… I also am not any kind of expert either; but here are my thoughts on your perception- and to begin… I agree with you. The thing is, one can measure the MOST bright (or reflective) source of any subject we choose, but it is not so easy to measure the SHADOWS and the other (lesser) reflections and variations that MAY still reside in your subject GIVEN the entire landscape/area you are viewing at any given time. Furthermore, you can have a certain wavelength dominate your view when you see a SOLID colored object (without texture: which functionally adds shadowing and multiple wavelengths). But add that texture and those variable wavelengths and your subject might not be so easy to identify! As you probably know by now- I am a hunter and here is a perfect case and point: seeing a deer’s antlers through the trees. IF you could see them as a true solid color (without any shadowing or variation in texture) they would be a LOT easier to find looking through the best binoculars. But they are well designed and they are very hard to see— until you see them— THEN your brain “maps” that wavelength and specific texture. So, a higher CW light is going to see the most CONTRAST over-all (I think that is the correct description) and so maybe a better way to say it is a CW sees better black and white. But I’d argue (as you here) that to see more of the colors (especially in certain frequency ranges— like green leaves and brown wood), that that the NW is indeed able to better “reflect” those frequencies in more detail than CW- because those colors and their shadows ARE WHAT WE EVOLVED TO SEE IN THE NATURAL LIGHT OF THE SUN. So our brains CAN see more detail in NW. So more detail NW Vs distance CW (where colors fade and it gets more black and white). ^ worth bumping, and reading more than once.……An original, experiential, thoughtful and we’ll elucidated contribution regarding color temperature. But yes some real “food for thought” there! Thanks Zappaman! CRI is relative to temperature. 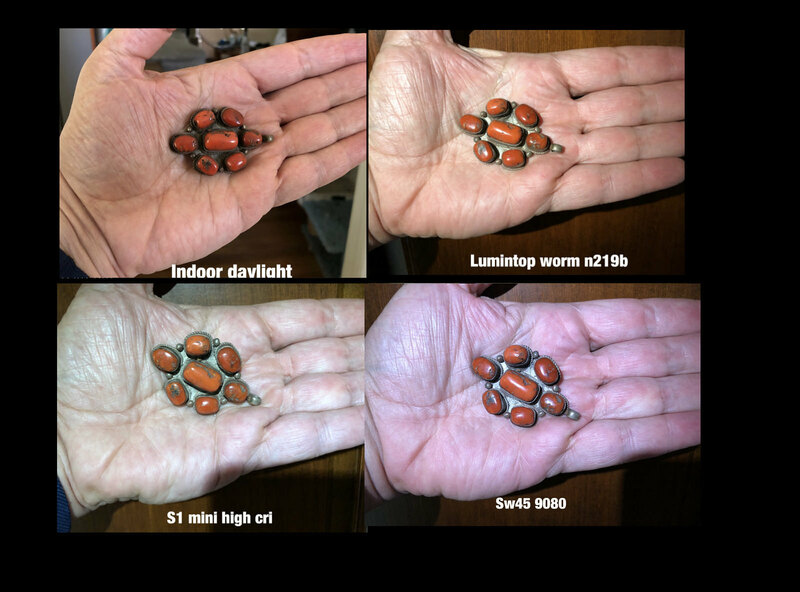 A 1500K incandescent source will have terrible color rendering except for red tones yet 100 CRI as it’s the reference. whether a light looks Cool or Warm, depends on the White Balance of the operators brain at the time. IF the operators brain is adapted to sunlight, then a CW light will seem white, and a NW light will seem warmer (yellowish). otoh, IF the operators brain is adapted to darkness (takes 30 minutes in the dark), then the CW will seem blueish and the NW will not seem yellowish. A light will look blueish if it is cooler than the white balance of the brain at that time. And a light will look yellowish if it is at a lower CCT than the brain is adapted to at that time. I’m not a pro on this subject however I have done a fair amount of research on this exact topic. The short answer to your question is, no a neutral white lamp is not neccesarily going to have a better CRI than a cool white lamp. The ultimate example to prove this would be to look at the specs of an xenon short arc lamp. 6000K and a CRI of >98. 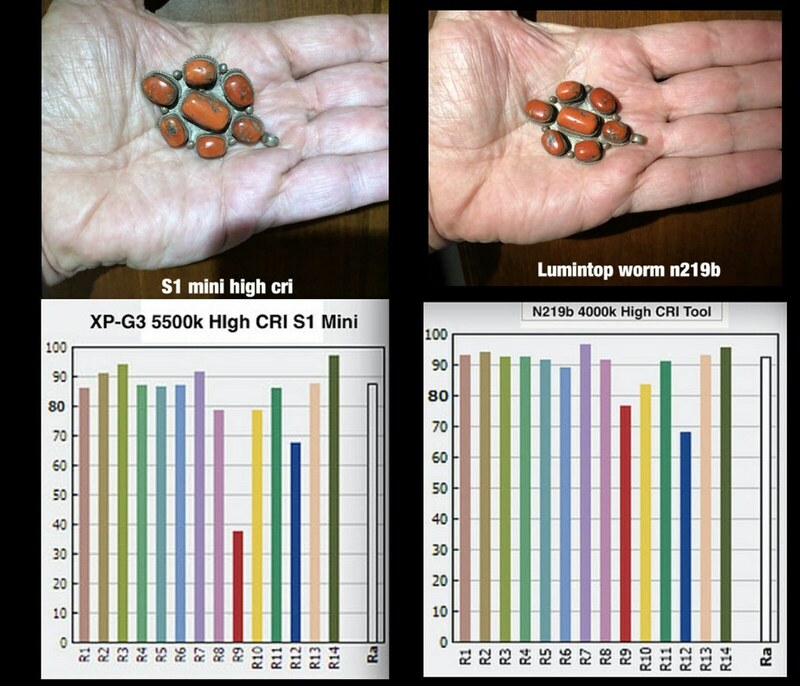 While having a higher CCT than a NW led an XSA lamp has a much higher CRI than even the highest high-CRI leds currently available. The main determining factor for high or low CRI is a lamp’s spectral power distribution, or how much of each wavelength light a lamp has. Lights with massive spikes at certain wavelengths or missing other wavelengths will have a worse CRI than a light that is not missing those wavelengths or has massive spikes. So in sound reproduction (my area of some expertise as a former recording studio owner), the sought after “glory” of any source is “flat response”— which at face value, means what you record sounds like the source you recorded. Flat response (of a particular instrument/voice/thing recorded) for a multi-track recording is the goal of many engineers. NOT THAT MANY don’t use a bias source (or intentional effects) on a track- MOST do! But the baseline for MOST tracks (instruments) in more classical recordings (for example) is to get a “flat response”. Your definition of CRI makes a LOT of sense to me, because it seems to be a measurement of BALANCE across the light spectrum- as in the sound spectrum I am describing here. It’s called “flat response” because there is no rise or drop at ANY frequency— thus the recording is tracking the source perfectly— so not up or down, but FLAT (meaning dead on at the exact frequency- in time with the source). Again… a random correlation here after reading the last few posts. Balance is in a way, an appreciation for the “whole view” (or whole sound-field in the studio) and it’s not always so easy to identify WHAT is missing exactly; as much as it is to “feel” that (that) “something” IS missing… OR alternatively, too bright (or loud) at a certain frequency. CRI is just a calculation that determines what colors will look like at a particular CCT by in ideal light source (black body). A green will look different at 3000k vs 7000k but both can be “correct” for example. We are just used to the sun so we perceive ideal as high noon sunlight CCT. When I look up to the biggest light source I know of (not the sun, but the galaxy! )… I see black and white. Funny little word eh? Thank you, could not have said it in so few words! beam0 wrote: Color rendering definition, does CCT play a role? I might need to reconsider if what my former self said… should be my final answer..
CRI is just a calculation that determines what colors will look like at a particular CCT by in ideal light source (black body). No, you should dissociate those two type of measurements of the light. As said before, CRI has nothing to do with CCT. CRI is based on spectrum of reflectance. A higher CRI means a richer spectrum of reflectance, more “true” colors will bounce back from subjects to a receptor (eye, camera sensor, etc). We are not talking about the overall tint of a light source or it’s temperature that seems to affect all colors but about its spectrum. Colors are wavelenghts reflected from a light source. The reference is a black body. If another light source lacks wavelenghts, those missing wavelenghts won’t be reflected then some colors will look different because of those missing wavelengths. Hence metamerism. ^ thanks for the new word. Metamerism (color), in colorimetry, a perceived matching of the colors that, based on differences in spectral power distribution, do not actually match. Maybe it could be referred to as a natural form of Creative Perceptualization. Since the question in the OP seems to have been laid to rest, and we have decided to go deliciously sideways (this being a “Democratic” flashlight forum, without a Gestapo), maybe we can tie things together in an Exoteric manner? With his permission, I will offer that he previously mentioned his desire to bring white balance into the current type of discussion. Zappaman has managed to do it succinctly, to the point, and leaving no room for rebuttal. Yes, ‘Esoterics’ insist sounds do have colors. Borrowing from Confucius, and his observations concerning beauty, sounds do have colors, but not everyone can hear them. I might add, that not everyone can hear the same tune. In an ‘Absolutists’ forum, this might lead to…. ^ …seems more like religion, not intended for those with open minds, a burning desire to learn, evolve, and discover whatever it is that brought them to the quest in the beginning. Could it be that so many treat the CRI, CCT, R9, white balance, and latent image perception tug of war/interaction as an Exact Science, ignoring the inconvenience of personal, subjective sensory perception? Not even all Esoterics envision the same color progression of the 7 major Chakras, though related to the a shared design of our Human Energy/Endocrine gland system? How many different methods of measuring, determining, and presenting CRI, RMS wattage and Daylight White exist? How many valid observations can be offered regarding an individual’s personal perceptions? Do those with vision impairment hear the same, do the vision AND hearing impaired feel ‘touch’ the same? Are any of their perceptions less, or more valid? Ironic that most people in the world who need a ‘good flashlight, have none, nor any idea of what it means. Just a bulb and battery, maybe even a switch that still works…? Right? What happens the first time they see one of HWang’s Meteors? From my repeated experiences, unless you explain things first, they will not notice the difference between my 2A and 3D, care much, or pay attention for that matter. Do they instinctively know what they prefer, of course! Do they all see/prefer the same? The challenge of pushing the flashrocket envelope to shorter burn times, and fuglier flames is merely another WTF? to them. Maybe Esoteric FlashHeads like us can remember things we forgot after drinking too much Lumen-Aid. The first avowed Exoteric I met never had a Guru, claimed if he had been born in India, he would have ended up a Yogi. Thankfully he was never limited in that manner. He ate 2-3 times a week, mostly meat, living on coffee and cigarettes to keep himself ‘grounded’. Every waking hour to him was described as “being on Las Vegas Strip at night, with no relief”. He could see better than anybody I have known. I wonder if he ever needed a flashlight? Is it some factor other than CRI that makes the Tool the better illuminant, closer to foggy afternoon daylight? can you help illustrate the reason for the difference between the Tool and S1 Mini hand images. Both are “High CRI”. does the Tool illuminated hand, look more like the foggy afternoon daylight illuminated hand because the Tool 4000k Color Temperature is closer to the daylight photo color temperature (aka white balance?) than the 5500k S1 Mini? what causes the Tool to illuminate the hand more realistically than the S1 Mini? No, you should dissociate those two type of measurements of the light. As said before, CRI has nothing to do with CCT. CRI is based on spectrum of reflectance. A higher CRI means a richer spectrum of reflectance, more “true” colors will bounce back from subjects to a receptor (eye, camera sensor, etc). We are not talking about the overall tint of a light source or it’s temperature that seems to affect all colors but about its spectrum. Colors are wavelenghts reflected from a light source. The reference is a black body. If another light source lacks wavelenghts, those missing wavelenghts won’t be reflected then some colors will look different because of those missing wavelengths. Hence metamerism. CRI is a match of the colors between the light source being measured and an ideal light source (black body) at the same temperature. It is why both the sun and an incandescent light source has a CRI near 100, even though colors are perceived vastly different. No, you should dissociate those two type of measurements of the light. As said before, CRI has nothing to do with CCT. CRI is based on spectrum of reflectance. A higher CRI means a richer spectrum of reflectance, more “true” colors will bounce back from subjects to a receptor (eye, camera sensor, etc). We are not talking about the overall tint of a light source or it’s temperature that seems to affect all colors but about its spectrum. Colors are wavelengths reflected from a light source. The reference is a black body. If another light source lacks wavelengths, those missing wavelengths won’t be reflected then some colors will look different because of those missing wavelengths. Hence metamerism. So… CRI is related to CCT, but is not affected by CCT. You might say the CCT of a light source is the zero point for measuring the CRI of that source (because CCT is ‘defined’ in a specific way). …….seeing a deer’s antlers through the trees. IF you could see them as a true solid color (without any shadowing or variation in texture) they would be a LOT easier to find looking through the best binoculars. But they are well designed and they are very hard to see— until you see them— THEN your brain “maps” that wavelength and specific texture. Look at my hand ....look very closely ... The hand is making you very sleepy . just concentrate on the hand ...look at all the pretty colors.you're going deeper and deeper into the cri zone ...GET OUT !!! The Flashlight ..,,where's your stinkin flashlight ? I like his hand It bares pretty jewels… never gets old. I’ve heard his manicurist has other talents, needs help advertising, and ate all of Jon’s Skittles. Maybe if we photographed our own hands, he wouldn’t need to post his anymore. I’m from Ohio, along with Wilbur and Orville. Here in Brazil everybody grows up learning Santos Dumont was the first man to learn to fly, but had to go overseas so the French could take credit. Re: Color rendering definition, does CCT play a role? Lots of missing parts in that post since offering the self effacing illustration yesterday. M&Ms, Skittles, personal offenses included…. Along with the rude button, a warning about thread incongruety would come in handy.